I love pop ups. 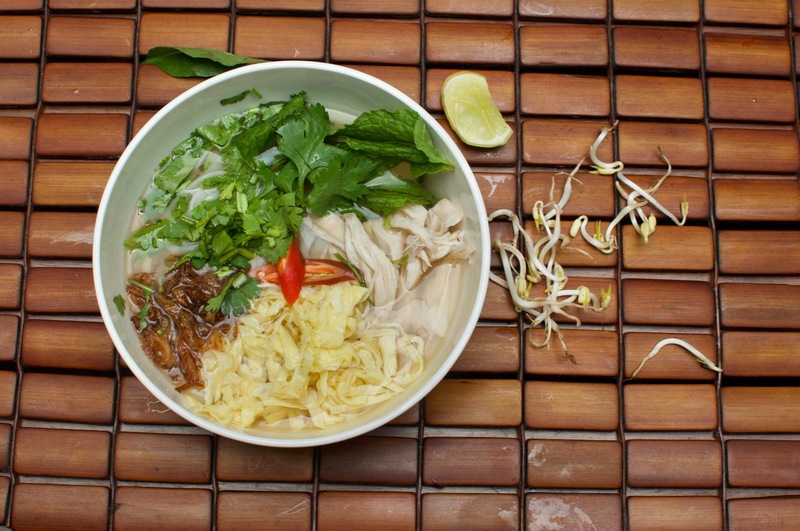 Without having to worry about markets and sustainability, pop ups allow a peek into various cuisines that otherwise may not be feasible to operate in a city. Over the last few years, Ashvita Bistro has been bringing in chefs from around the country, both semi-professional home chefs with catering businesses and professional hotel chefs, to set up pop up festivals. When invited for their Vietnamese pre-launch dinner, I went waiting to be blown over by Vietnamese flavours and Phos. 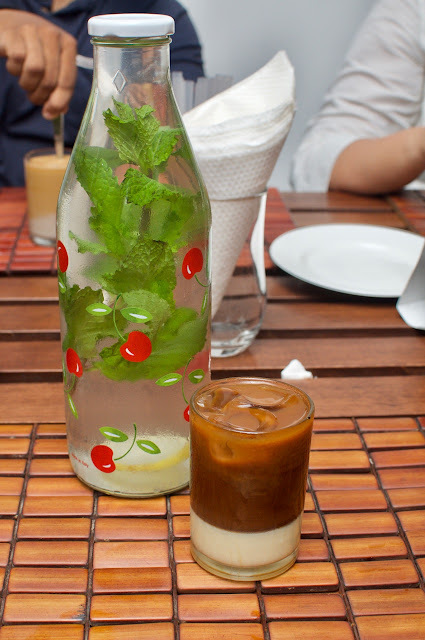 Dinner started well, with a some Iced Vietnamese iced coffee. Though a tad on the sweeter side, it was refreshing and set the tone for the rest of the dinner. The first two courses arrived in a single plate. Fresh lettuce leaves with minced chicken and beautiful glass paper rolls stuffed with prawns were the two. 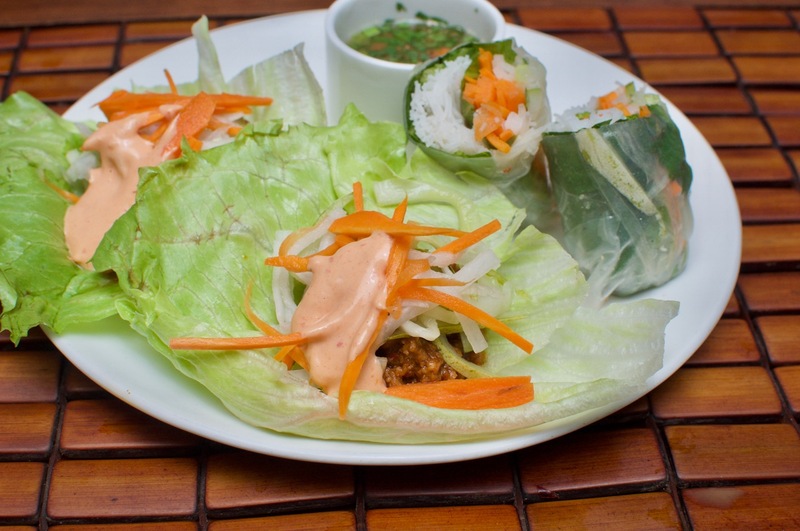 The glass paper rolls had nice Asian flavours with loads of crunch and screamed the flavours out aloud. And after that, it seemed like the rest of the dishes did not hear the first two courses and went off on their own journey. The soup bowl, while having a lot of elements, missed the most important one in a Vietnamese soup - a good broth. Clearly, this wasn't cooked for long and with chicken in it, it probably can't be cooked long enough for the flavours to embolden the broth. No amount of elements and condiments could make up for the carelessly prepared broth. Beyond a couple of spoons, I found it hard to keep going. The next course tried to bring thing back on track, but barely managed it. 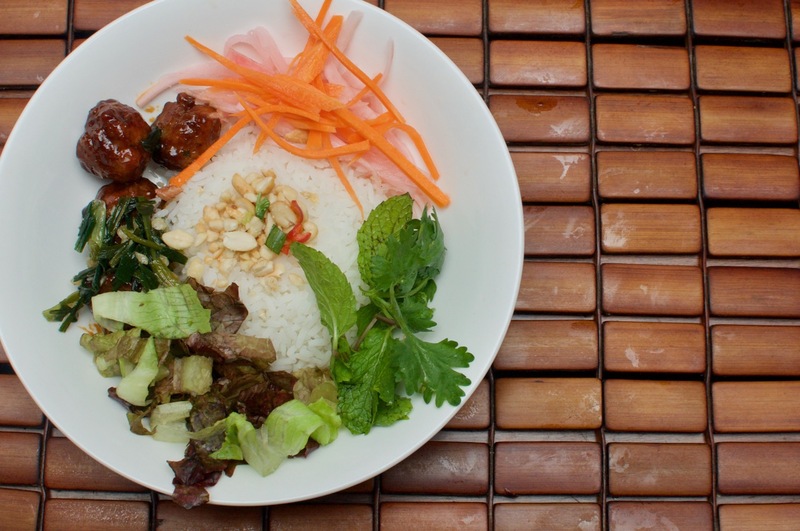 The rice, again with a lot of Vietnamese elements, was a miss, but not as bad as the soup. The meat balls with whiffs of Asian flavours were the saving grace. 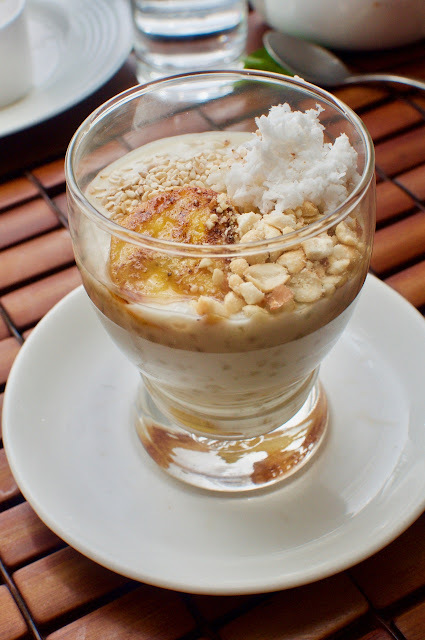 I didn't recognise the dessert, but it was very nice, though not Vietnamese at all. At this point, it didn't matter anymore. The chef at the end of the meal was super honest to say that this was her version of Vietnamese. She said that this was Vietnamese inspired at best, in trying to replicate plating and elements, but was also open to saying that there were limitations with ingredients and cooking techniques, so all the while, I was expecting a bold Vietnamese meal, but got just a whiff of it. Unfortunately this is what it was all about and if I had known that this was a Vietnamese inspired meal, I might have enjoyed it a lot more that I did. The drawback to pop ups though are that some are great and some miss the mark and there have been some really good ones in the past. I'm looking forward to more pop ups and hoping more hit the bulls eye! A pop up, ideally should! A restaurant can customise to a palette, maybe even significantly customise to a community palette, but a 3 day pop up, shouldn't. That of course is my POV!